Here's a Direct Link to the page where you can preview and order copies! 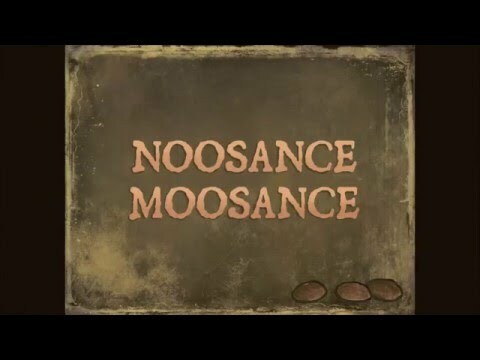 A collection featuring over fifty new panels (half in full-color), plus sketchbook doodles and illustrations, from the creator of Alaska’s longest-running cartoon “Nuggets.” “LowTide” documents the artist’s perspective on his adventures and experiences around Acadia and Down East after migrating to Maine. Excited about this project - trying out a print-on-demand book via Lulu's. This specific collection compiles the best stuff from the first year in Acadia, everything falling in situ under the new feature "LowTide." The majority of the cartoons selected for the sampler haven't yet found a home anywhere here in this neck of the woods, though a handful of appropriately themed crossover panels were shunted up north to make their publishing debut rechristened as a "Nuggets," and around half a dozen panels - sans header - have also run in Down East magazine. The entire concept springboards off last year's experience with the "Secret Harbor" MECAF minicomic, but makes for a much more professional looking end product, which means of course the cartoons are now somehow even funnier. 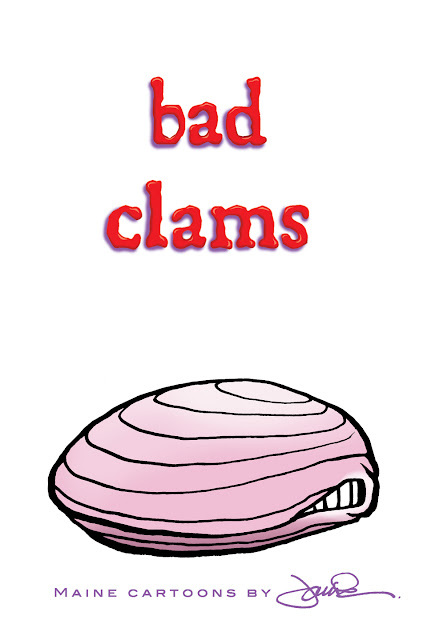 "Bad Clams" is 36 pages and contains about 50-odd (emphasis on odd) finished panels, approximately half of which are color cartoons paired with a black & white one - so two per page, excepting the occasional full-pager. Plus there's some miscellaneous sketches/random doodles and a couple pen & ink illustrations. Regular readers will have seen everything already over the course of posting stuff here on Ink & Snow and in the Picasa web-albums (hence the decision to not bother yet with an "e-book" edition), but it's still a source of immense satisfaction to see 'em all coagulated into one physical object. Now all I have to do is get around to that limited "scratch & sniff" edition by marinating some copies in buckets of clam nectar.